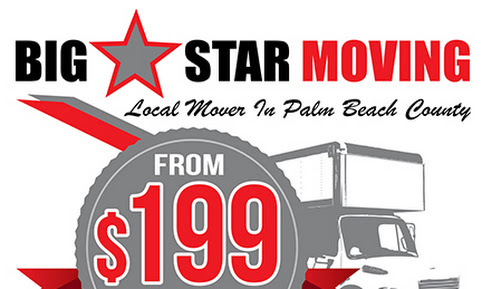 Big Star Moving - West Palm Beach Moving companies from $199 movers: Award: " Best of 2015 Boca raton " Big Star Moving companies in West Palm Beach, Lake Worth, Wellington, Boynton,Delray, Jupiter. Award: " Best of 2015 Boca raton " Big Star Moving companies in West Palm Beach, Lake Worth, Wellington, Boynton,Delray, Jupiter. 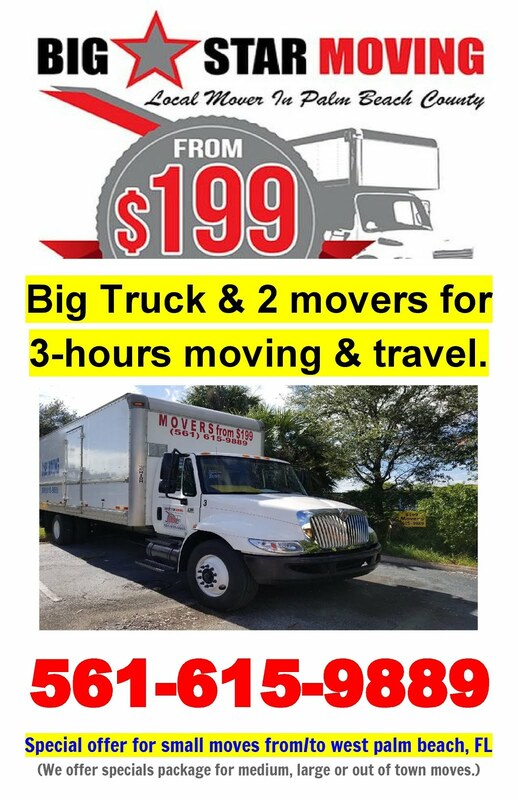 Big Star Moving Services from $199 From the business owner Award: " Best of 2015 Boca raton " Big Star Moving companies in West Palm Beach, Lake Worth, Wellington, Boynton,Delray, Jupiter.